The lawyer for Siti Aisyah said she was "merely a scapegoat." Prosecutors in Malaysia have dropped charges against a suspect in the killing of North Korean leader Kim Jong Un’s half brother, Kim Jong Nam. Kim Jong Nam was murdered two years ago at Kuala Lumpur International Airport in Malaysia with VX nerve agent, a chemical weapon. He was the eldest son of North Korea’s late leader, Kim Jong Il. The lawyer for Indonesian suspect Siti Aisyah has claimed she was just a pawn in what was really a political assassination. 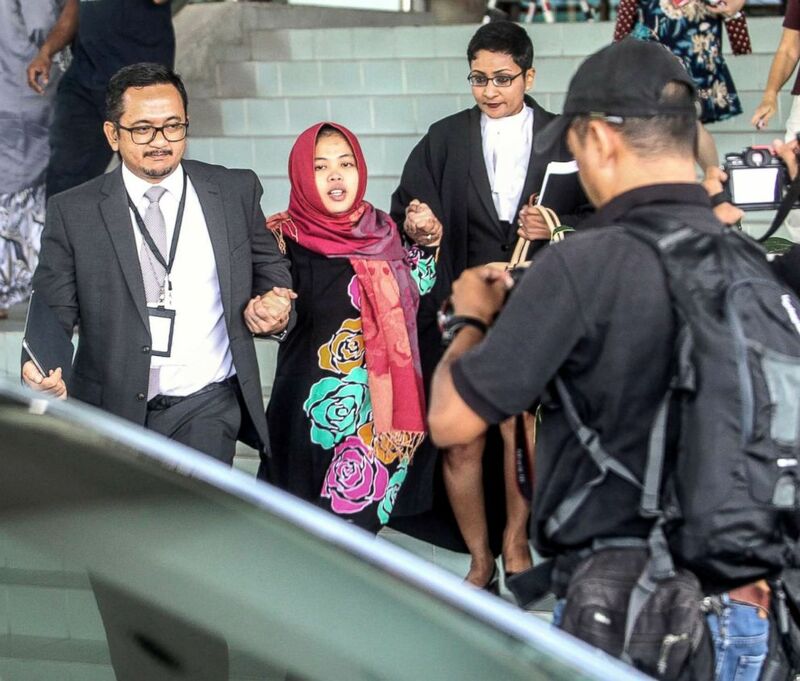 “We still truly believe that she is merely a scapegoat and she is innocent,” Gooi Soon Seng, Aisyah’s lawyer said to journalists on Monday in Kuala Lumpur. Seng added there was no direct evidence from CCTV recordings that Aisyah had slipped Kim the nerve agent. (EPA via Shutterstock) Indonesian Siti Aisyah (center) leaves the Shah Alam High Court in Malaysia, March 11, 2019. “What was purely found was merely traces of degrading products of VX and that alone is very circumstantial, and the fact that the clothes that were found did not have the DNA of Siti Aisyah," he said. The decision to drop charges against Aisyah overturned a Malaysian high court decision last August, which said there was enough evidence of the suspect’s engagement in an assassination plan to go forward with a trial. Prosecutors did not specify why they were dropping charges at this time. Aisyah and a Vietnamese suspect in the killing, Doan Thi Huang, have claimed that they believed at the time they had been given roles in TV show prank. Huang remains in custody awaiting trial. Abc News’s Hakyung Kate Lee contributed to this report.